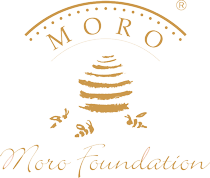 The Moro Foundation was established in 2008. The founder of the Foundation is the Moro & Kunst Ltd., which established precious metals trading in Slovenia. The company trades 800 year old coins of the Münze Österreich from Vienna and makes a donation for every Vienna Philharmonic 1 oz. coin sold. The official, authorized auditor of the Foundation is Revidisleitner d.o.o., Slovenia. The foundation respects the donor’s code of ethics. We do not forward contact information to third parties. Thank you for your contribution to our foundation!